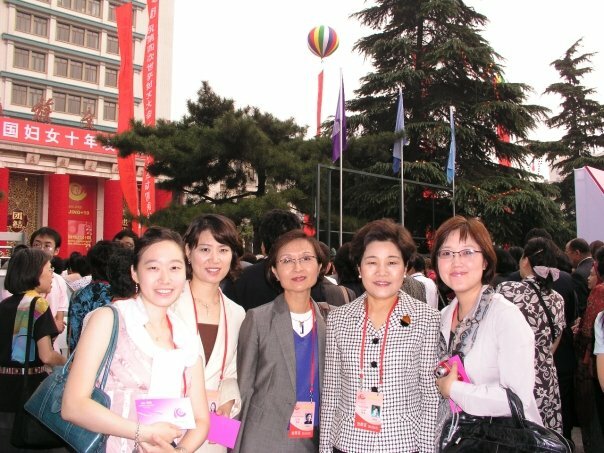 In the summer of 2005, I visited Beijing to attend the ‘2005 BEIJING+10: The 10th Anniversary Commemoration of the 4th World Conference on Women’ as a ministerial Assistant for the ROK Minister of Gender Equality, Ha-jin Jang. Beijing had changed remarkably during the course of time, China with its rapid economic growth had been striving to gain recognition in the international community for its promotion of women’s rights by providing equal opportunities and highlighting on the importance of education for women. It was clearly recognizable that Beijing’s women were actively engaged in social activities. Walking around the streets of Beijing and visiting factories with hundreds of female employees and schools for girls, I let out a sigh of relief, thinking ‘Maybe in the long run, formidable changes may be plausible in this socialist regime for the female population’. Perhaps I still had images of China retaining the remnants of the Great Leap Forward Movement and the Cultural Revolution. Towards the end of our delegation’s visit, we had a formal dinner at the ROK Embassy located in the Chaoyang District of Beijing with then ROK Ambassador to the PRC, Ha-joong Kim. (He later went on to serve as ROK Ministry of Unification.) Stepping into the elegant embassy building, I was taken aback by the torn newspapers scattered all over the place in front of the doorsteps of the front gate. Who could have delivered papers in such terrible shapes to a foreign embassy? Talk about diplomatic etiquette. At the dinner table, I was disquieted in hearing the conversations of the Former Minister Chang and Ambassador Kim; the levels of media controls were still severe in China. So what seemed to be the story behind the torn newspapers was that the Chinese government is still in control of their media by monitoring newspapers or broadcast news, one way or the other. 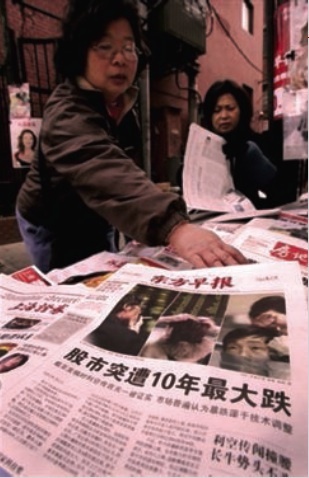 It was a wonder how they actually manage to send out gong-an (公安局) officials just in time between near the break of dawn for newspaper delivery and waking hours to tear newspapers containing reports that were not favorable to the CCP. 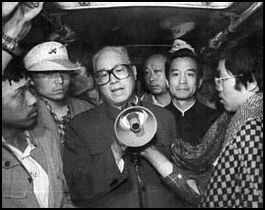 In January 2005, former Premier and General Secretary of the PRC, Zhao Ziyang died at his home in Beijing after 17 years of house arrest. Zhao had been arrested by Deng Xiaoping and his officials for opposing to military oppression on the protesters of Tiananmen in June 1989. Referring to media control, Ambassador Kim mentioned that mourning over his death was unacceptable by the CCP, and that news coverages on his death in any format were strictly condemned. He explained that newspapers were severely torn and covered with black markers on the doorsteps of the ROK Embassy in the wake of Zhao Ziyang’s death; “You see, they (CCP) haven’t forgiven him yet.” When will the CCP ever be able to accept public opinion as it is? Under these harsh circumstances for journalism, it is only natural that one gets curious about how serious media control is in China as of late. This curiosity took me to the Postdoctoral Workshop on Media in Contemporary Chinese Politics held at Harvard last weekend. Jonathan Hassid (Ph.D Candidate, UC Berkeley) presented his idea of ‘Pushback’, which basically means that professional journalists by press censorship by the CCP and press commercialization by ‘advocate journalists’ for political purposes. We all know that China is falling into its own trap of strong nationalism to overcome the century of shame. Benjamiin Liebman (Professor of Law, Columbia Law School) on changing media in China stipulated that media was influencing decisions in Chinese courts by first influencing the party state officials. The recent upsurge of blogging on the internet was another component of the rising influence of populism in the Chinese legal system. I’ve heard severe stories of cases being swayed completely by the media though I won’t bother with the details here, but it really looks like the media is finding a different channel to convey its messages to the government. Zhan Jiang (Chinese Journalist and Professor at the Chinese Youth University for Political Sciences 中国青年政治学院) brought up the issue of post-totalitarianism and the state’s intent to bring in the media, which thereby crosses the borderline of the legal system and goes back into the cage of the legal system. He also criticized the new model of market-driven journalism, which obviously is existent in any other capitalist country. Tianjin Shi (Professor of Political Science, Duke University) noted that there is a bi-furcated image of the U.S. in urban China, but underlined that the Chinese urban residents’ evaluation of U.S. policies cannot simply be attributed to CCP propaganda or media control. Normally he does quantitative research, but strangely this presentation was not conducted in his usual method; it was a simple explanation of the fact that Chinese media control does not damage the image of the U.S. among the Chinese. I doubt his conclusions. But all in all, it was worth attending but lots of things were left unaddressed; for further reading, I recommend that you all take a look at He Qinglian (何清涟)’s Media Control in China [中国政府如何控制媒体] which was published online by Human Rights in China in 2004. A simple googling will do the job.